If you&apos;ve ever visited Congress Avenue Bridge around dusk, you&apos;ve probably run into a few of Austin&apos;s favorite flying furry friends. Each night running from late March to early fall, hundreds of thousands of Mexican free-tailed bats emerge and take flight over the city. This colony of critters not only makes up North America&apos;s largest urban bat population, they also help keep the nighttime insect count low so you can enjoy your summer nights outside. 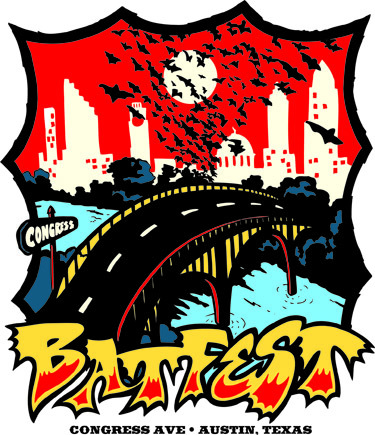 As summer comes to an end and we being preparing for the new school year, there is one last hoorah on every Austinite&apos;s calendar - the 11th Annual Austin Bat Fest! 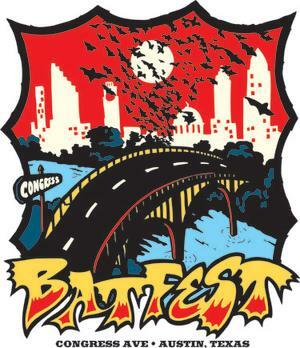 Taking place August 22, the historic Congress Avenue Bridge will be overrun with three live music stages, more than 75 arts and crafts vendors, food and drinks, a costume contest, tons of kid&apos;s activities and, of course, BATS! Come out and celebrate to watch 1.5 million of these flying mammals set out for their nightly excursion! Make sure to wear your most original batty costume, both children and adult costume contest winners have a chance to receive a cash prize. All other information about the fest including parking, live music schedule (TBD), and what to/what not to bring can be found on the event page. How Much: Admission is $10 (cash only) at the gate of the fest, kids 8 and under can get in free with an adult admission. This admission gives you access to the bridge, live music, the statesman parking lot event, children&apos;s area, vendor booths and all sorts of other bat-tivities!